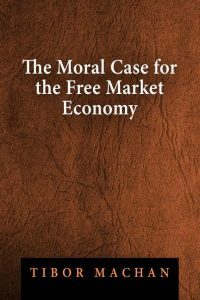 A Civil Economy; Transforming the Marketplace in the Twenty-First Century (2001) | Moral Markets? A civil society is one in which a democratic government and a market economy operate together. The idea of the civil economy — encompassing a democratic government and a market economy — presumes that people can solve social problems within the market itself. A Civil Economy explores the relationship between the two, examining the civil underpinnings of capitalism and investigating the way a civil economy evolves in history and is developed for the future by careful planning. 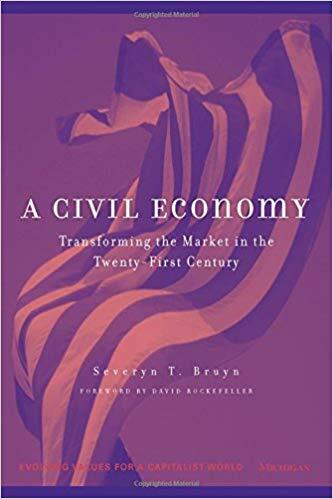 Severyn T. Bruyn describes how people in three sectors — government, business, and the Third Sector (nonprofits and civil groups) — can develop an accountable, self-regulating, profitable, humane, and competitive system of markets that could be described as a civil economy. He examines how government officials can organize markets to reduce government costs; how local leaders deal with global corporations that would unfairly exploit their community resources; and how employees can become coparticipants in the development of human values in markets. A Civil Economy is oriented to interdiciplinary studies of the economy, assisting scholars in diverse fields, such as business management, sociology, political science, and economics, in developing a common language to examine civic problems in the marketplace. As an undergraduate text, it evokes a mode of thought about the development of a self-accountable system of markets. Students learn to understand how the market economy becomes socially accountable and self-reliant, while remaining productive, competitive, and profitable. worker-owned and -managed firms as a model. It favors the privatization of most functions currently carried out by governments, including both regulation and service delivery. It recognizes that government needs to provide some backup monitoring and enforcement, but the author's basic perspective favors the development of self-financing, private organizations that are inclusive of the interests involved. He is optimistic about the possibility of consensus. [...] In short, Bruyn has not demonstrated his basic claim that a reduction in the role of government as service provider and regulator will work to protect the public interest. He has not demonstrated that private organizations can be a realistic substitute for activities currently carried out by the state. One can accept many of his criticisms of the operation of present day states without accepting his claim that non-governmental entities can provide substitutes. When he moves to the international arena, however, Bruyn's perspective is more helpful." "In this book, Bruyn utilizes the narrow theoretical apparatus of neoclassical economics to argue that the notion of a 'civil economy' can provide a new way of thinking about civil society. [...] It is the dynamic interplay between business and the 'Third Sector' - consisting of nonprofits, nongovernmental associations, voluntary associations, and grassroots organizations - that is crucial in creating a civil economy and avoiding the evils of state intervention. [...] As sociological scholarship, this book has a number of debilitating flaws. First, the empirical evidence and its presentation are very weak. To support the central thesis, Bruyn uses a series of "cases" that are little more than brief, descriptive vignettes of firms, industries, and government agencies that have supposedly moved toward more community oriented business forms or privatization. [...] Second, Bruyn uncritically assumes that market principles are the natural basis of social life and that any hint of collectivism can only end in bureaucratic, oppressive state intervention. 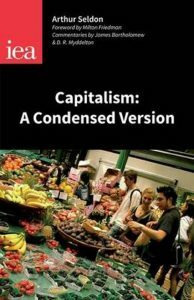 This all-or-nothing approach to markets ignores the fact that market societies are highly variable, emerging from a range of economic, cultural, political, and social practices rather than doctrinaire adherence to neoliberal economic principals. [...] Third, the author seems unaware of recent developments in the theoretical literature on state and society, let alone economics, globalization, and markets. [...] Fourth, while Bruyn provides a welcome emphasis on grassroots movements in terms of their role in the Third Sector, he asserts that this sector has equal power with business. But this simplistic pluralism not only ignores real power inequities but also the fact that the development of transnational social and political activism is much more complex. [...] Overall this is a disappointing book that is difficult to recommend to a broad sociological audience." "Michael Webber's review of my book is filled with misinterpretations. It demands a reply. 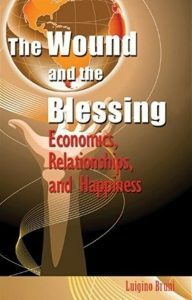 First, Webber says, "Bruyn uses the narrow theoretical apparatus of neoclassical economic. ..." This is absurd. What he must be referring to is my use of 'self-regulation' (and 'self-governance') to explain the basis for building a civil economy. He should see the sociological significance of this perspective and how this principle is at the root of democracy and the ground for building a new economic order. Second, Webber says, "Bruyn insists that these problems (e.g., environmental degradation) can be solved within the market system...." This statement is misleading at the very least. What I do say is that certain markets can be reorganized with Third Sector participation. But I argue that it requires the right government policies to convert a capitalist market into a civil market. Third, Webber says, "Bruyn makes the astonishing claim without argument or evidence that nonprofits can now match the power of big business and the Third Sector. . ." This is a wrongful interpretation. The Third Sector cannot begin to match the power of business without government sup port. What I say is that the government should help the Third Sector match business power to create a civil economy. Fourth, Webber says, "Bruyn uncritically assumes that market principles are the natural basis of social life and that any hint of collectivism can only end in bureaucratic, oppressive state intervention." This is a mislabeling and is not to be found in my book. Fifth, Webber says that I propose "privatization," which is exactly what I oppose. If he were fair in his review he would say that I propose "civil privatization," that is, to build a democratic order in the local economy. I do not propose "for-profit enterprises" in any conventional sense. I propose community enterprises that are publicly accountable. [...]"
Sveryn T. Bruyn is Professor of Sociology, Boston College.